Fruitless Pursuits: FPcast! The Official Fruitless Pursuits Podcast for September 1st 2014! Hell No Kitty! FPcast! The Official Fruitless Pursuits Podcast for September 1st 2014! Hell No Kitty! 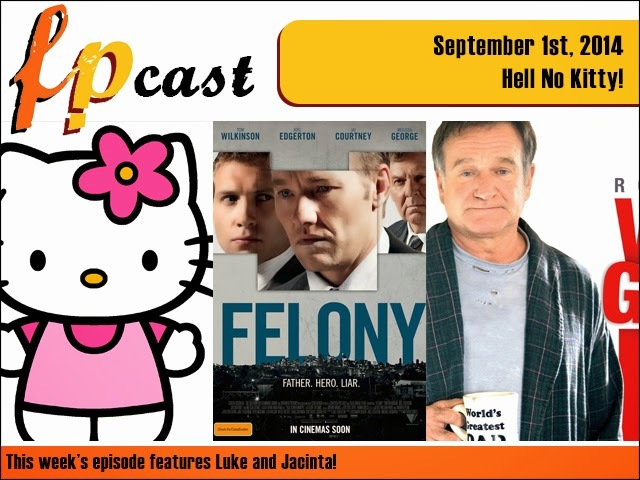 This week we talk about the Hello Kitty controversy, review Joel Edgerton's Aussie moral dilemma flick Felony, catch up on the films of Taika Waititi, say goodbye to Robin Williams with World's Greatest Dad, and look at The Art of Guardians of the Galaxy!